It’s official, I am addicted to Scandal. I have been talking about watching it for awhile, but now that I have started, I CAN NOT stop! I watch a season and half in two days. While I sat on the couch watching Scandal, I was also shoving my face full of these Spiked Eggnog Cream Pie Parfaits. I’ve have discovered that adding Eggnog into things like pudding mix is the best thing since my Apple Pie Lasagna. I thought I was all smart and inventing new things like eggnog pudding- which for the record obviously already exists, and I didn’t bother checking. But as I drank my way through the carton of eggnog, I discovered the eggnog pudding recipe on the side of the carton. Duh Julianne. 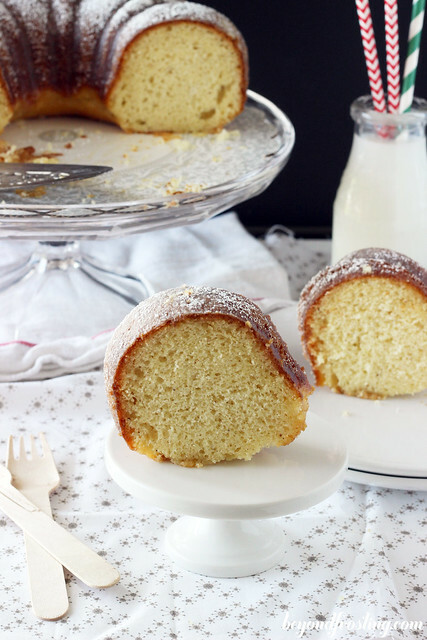 This recipe is spiked with Rum. The rum is optional! You can substitute the rum with additional eggnog. Anyway, I made eggnog pudding by adding eggnog instead of milk to some vanilla instant pudding and little extra cinnamon and nutmeg. This is unbelievably amazing, like be-sure-to-sneak-extra-bites–when-no-one-is-looking AMAZING. Then I made the pudding into a mousse with some homemade whipped cream, which makes its light and fluffy and full of goodness. I really wanted to make a pie of out of this, but under the weight of the mousse and whipped cream layer, it didn’t look very pretty on the plate. 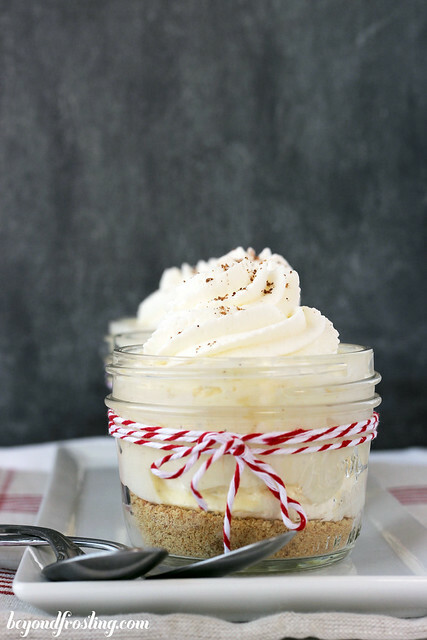 So we improvise with these cute little cream pie jars! The first layer is a graham cracker crumbs, with a little bit of butter for a more crust-like appeal. Then a heavy layer of mousse and a topping of whipped cream. 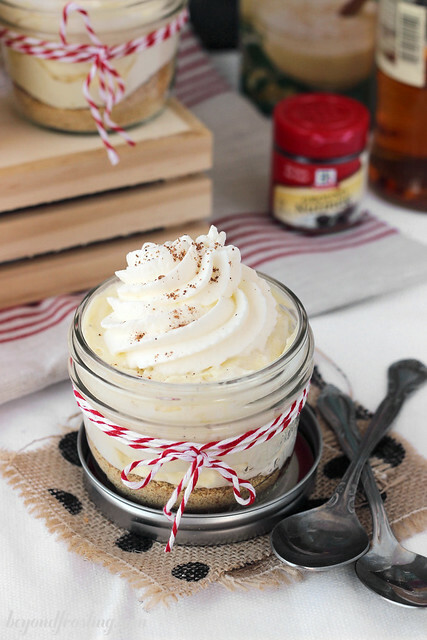 You can make up these jars ahead of time, and don’t stress yourself out of the dessert! I mentioned homemade whipped cream, which is SO much better than Cool Whip. 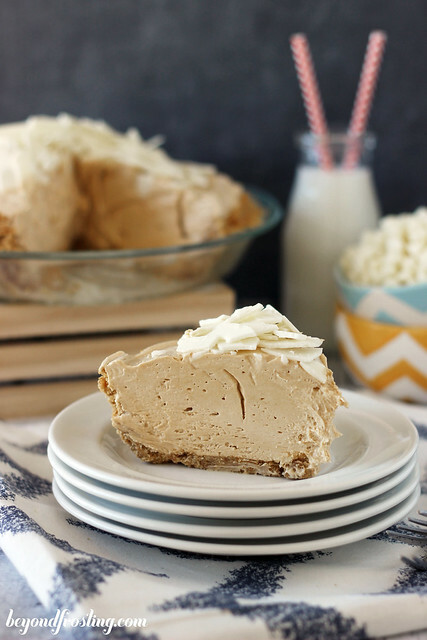 I’ve got nothing against Cool Whip, and you can most certainly use it for this recipe. However, the whipped cream helps add the air bubbles that you just don’t get with Cool Whip. What do the air bubble do? They help keep this mousse airy and fluffy. 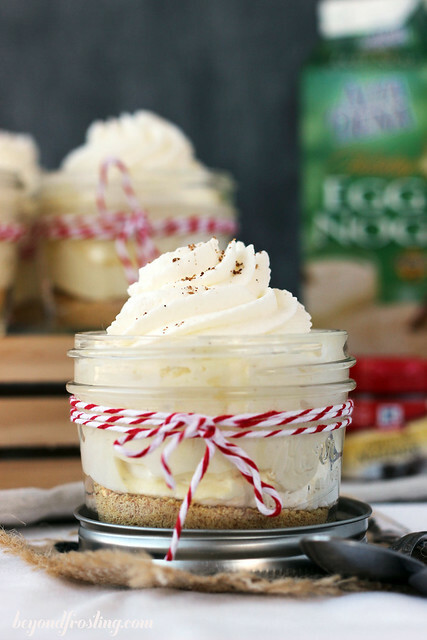 These Eggnog Cream Pie Parfaits will knock your socks off. 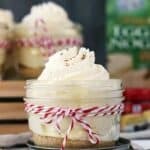 You can layer them, you can use serve these in a variety of different jars or glasses, or even serve them as dessert shooters. Keep up with all the happenings. Subscribe at the end of this post! 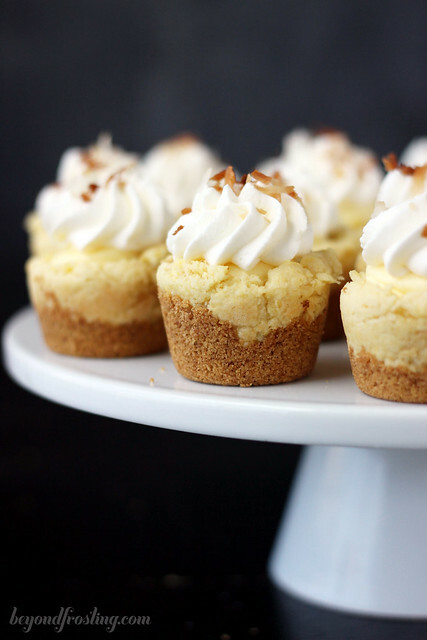 Combine instant vanilla pudding mix with eggnog, rum, cinnamon and nutmeg. Whisk until powder dissolves. Refrigerate until pudding is firm. Put bowl and whisk in the freezer for 15 minutes until completely cold. Whip heavy cream on medium high speed for several minutes until bubbly. Add powdered sugar and beat on medium high until stiff peaks form. Refrigerate whipped cream until you are ready to use. Take 2 cup of the whipped cream and fold into pudding until mixed. Do not mix vigorously as it will deflate the whipped cream. Put mousse in a Ziploc bag and refrigerate until you are ready to use. Save remaining Whipped Cream to top the parfaits with. Use a food processor to grind graham crackers into a fine crumb. Put graham crackers crumbs in a microwave safe bowl. Melt butter together with graham crackers. Stir to coat the crumbs. To assemble these jars, place 1-2 tablespoons of graham crackers in the bottom of the jar. 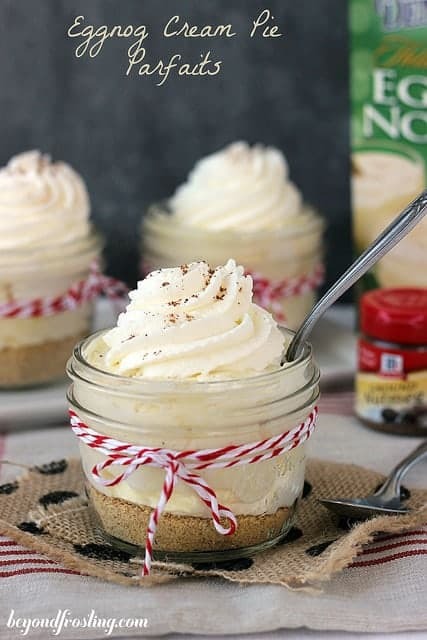 Cut a small hole in the corner of the Ziploc bag and fill the jars with eggnog mousse. 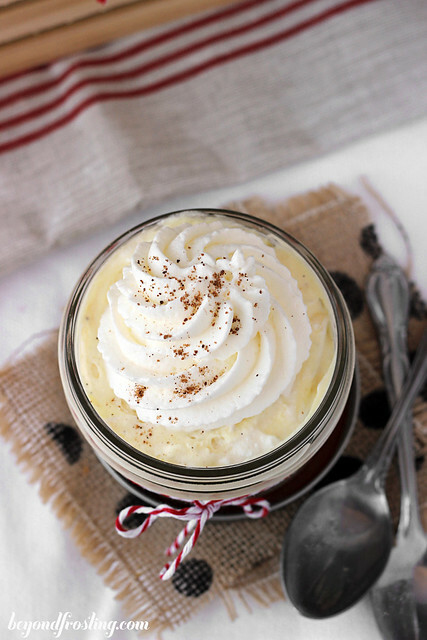 Top mousse with a dollop of the leftover whipped cream and sprinkle with nutmeg. Jars must stay refrigerated until ready to serve. About how many little jars does this recipe yield?? My wife just informed me that we would be using a glass casserole dish so you can see the tasty layers. I made this for Christmas guests and it was a smash. Especially getting a little spunky with the rum. 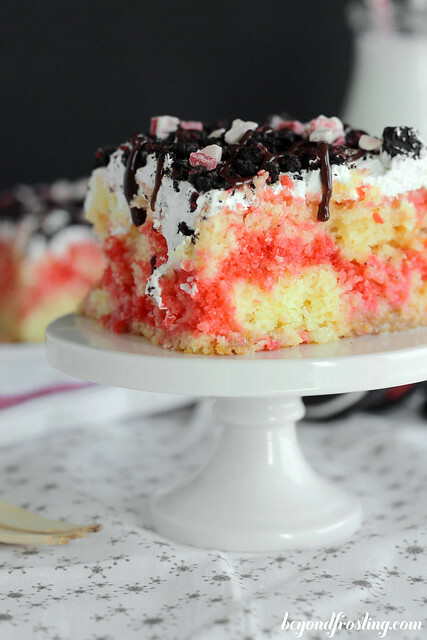 What would you recommend if I wanted to make this using a medium size brownie pan. 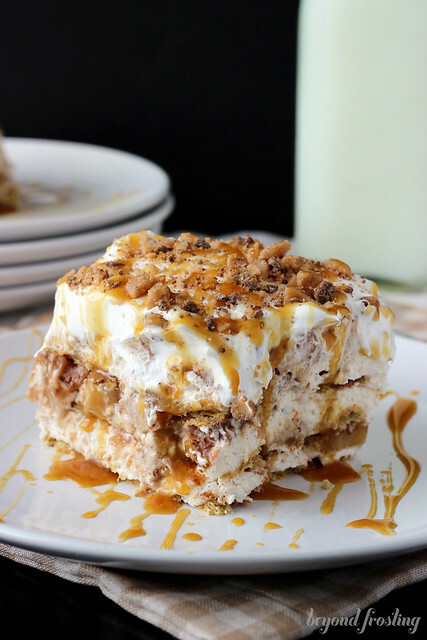 I would do all of prep and then start with putting an ample layer of the graham crackers on the bottom and then proceed to put the remaining layers on top. People could use a spatula to served their desired amount. What would be the amount sizes with each ingredient to accomplish this dish.